This is the padded portion of the S.E.T. War Belt. It is constructed of 1/4″ closed cell foam with a heavy duty mesh covering. 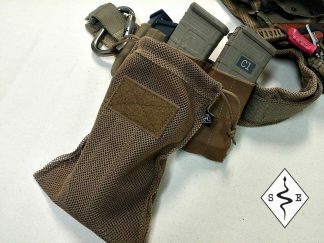 One side has full length 1.5″ hook velcro, and the other has 1.5″ loop. This belt has positive buoyancy and drys quickly. 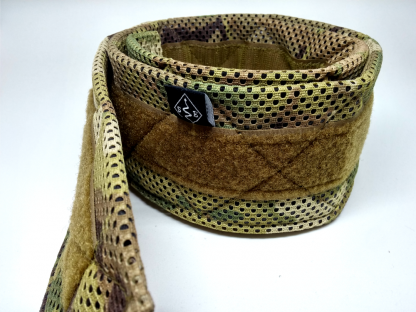 War Belt Pad is available in the following colors: Coyote Brown, Black, Ranger Green, Multicam, A-TACS AU, FG, iX. The pad is 3″ wide and comes in various lengths. Please MEASURE YOUR WAIST AROUND YOUR BELT LOOPS AND ORDER THAT SIZE.